Trump administration officials at EPA are changing the agency's top enforcement program into a "compliance initiative" that will emphasize less punitive responses to pollution by companies. The plan is to give state governments more authority in setting priorities for enforcement programs, according to a memo obtained by E&E News. Officials also want to remove from the priority-setting process considerations about consistency and using penalties to maintain a "level playing field" for companies. The changes have sparked fear among some inside the agency that the administration wants to substantially weaken enforcement. Eric Schaeffer, former director of civil enforcement at EPA, said the agency might wind up backing away from big national pollution problems. "I'm worried we might end up with priorities that are not really national-level priorities," said Schaeffer, now director of the Environmental Integrity Project. "There's national corporate stuff that only EPA can do." The oil and gas industry has bitterly complained about some of the enforcement campaigns launched after the Obama administration made "energy extraction" an enforcement priority. According to the memo obtained by E&E News, the agency's "National Enforcement Initiatives" would become "National Compliance Initiatives," or "NCIs." The agency is planning to kick off a state engagement process this summer and have final strategies developed by the fall of 2019. EPA uses National Enforcement Initiatives to set priorities for the agency's enforcement work. Managers are expected to devote a certain portion of their money and resources to inspections of targeted industries. When enforcement staffers do inspections, they note on their report whether it is part of a national initiative. 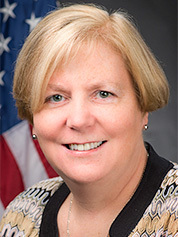 The plan is being shepherded by the agency's enforcement chief, Assistant Administrator Susan Bodine. E&E sent an email to Bodine on Friday asking about the changes to the program. An EPA spokesman responded with a statement: "The process for developing national priorities for the 2020-2022 cycle will begin shortly and will be informed by discussions with states." Internally, officials are saying they think the changes will increase compliance and reduce the time it takes to get violations corrected after they're found. "While enforcement cases have been the most visible tool used in the past, the NCIs will use, as appropriate, an integrated strategy that incorporates other tools, such as compliance advisories, voluntary self-audits, and engagement with industry trade associations," the memo states. 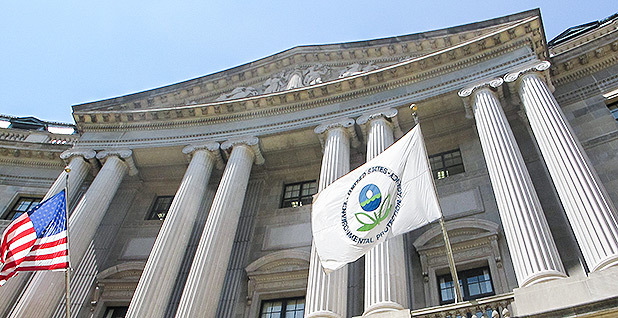 "EPA will strive to make the use of these non-enforcement case tools more public." The move comes amid other efforts at the agency to present a friendlier face to industries, including oil and gas. Bodine is expanding to the industry a program that waives or reduces penalties for companies that self-report air emissions violations (Energywire, May 7). EPA will be holding "stakeholder meetings" on the "self-audit" proposal on June 27-28. The agency is hoping to finish the process by September. Inspections of "energy extraction" sites dropped by one-third in EPA Administrator Scott Pruitt's first fiscal year, according to EPA's website. But the number of concluded cases rose slightly. President Trump has called for increasing domestic energy production in the interests of "energy dominance." Pruitt was closely aligned with the oil and gas industry, along with other fossil fuel interests, when he was Oklahoma's attorney general. Shortly after he took over at EPA, state oil and gas associations complained to Pruitt that the Obama administration had been too aggressive on enforcement, particularly in the Rocky Mountain West. In response, he promised them a roundtable meeting with top staff (Energywire, Jan. 17). The meeting was held in February (Energywire, Feb. 20). The enforcement campaign that sparked those complaints stemmed from the enforcement initiative targeting "energy extraction." EPA found that oil producers in North Dakota and Colorado were allowing storage tanks at their well sites to emit methane and volatile organic compounds. Those emissions can contain benzene and contribute to smog. EPA also pursued criminal charges against gas drillers that damaged wetlands in the Marcellus Shale and pressed state officials to do more monitoring of Marcellus Shale drilling wastewater. In April, EPA reached a settlement with MarkWest Energy Partners LP to reduce emissions from pipeline facilities in Pennsylvania. The EPA memo acknowledges that the enforcement program has had significant accomplishments, that previous administrations have also focused on compliance and that enforcement actions are sometimes needed. But it also says the enforcement initiatives "are sometimes misunderstood as involving only enforcement actions." A key element of enforcement is levying fines or requiring expensive fixes that ensure that a company does not gain a competitive advantage by breaking the rules. In compliance, the focus is on getting the violator to fix the problem. Schaeffer said letting states set the priorities for EPA would make significant changes, quite possibly for the worse. Some states are unwilling to support strong enforcement against refineries and other large energy facilities, he said. But beyond power politics, he said state agencies are just less likely to look at the broad, national picture. "States have always had input," Schaeffer said. "What they haven't had is veto power."